2009 Triumph Rocket III, like new - Rocket III Streetfighter on steroids. Words will never do justice to the Rocket III. Its a design and engineering masterpiece that really has to be ridden to be appreciated. The awe inspiring 2,300 cubic centimeter triple cylinder power plant delivers arm wrenching torque via shaft drive for amazing acceleration and controllable power off the line and through the gears. Its the worlds largest production motorcycle, but the real surprise is that it handles like a bike half its size thanks to the design intent from day one. Performance, handling and usability will always be at the heart of all our motorcycles and the legendary Rocket III proves it. Its a real riders bike with unique and original custom styling. Think of it as a Streetfighter on steroids. Its sports bike derived brakes include twin front discs with Nissin four-piston floating callipers, a Brembo rear calliper and braided hoses all round. A massive 240 millimeter rear tire and long chromed, triple exhaust pipes add to its presence and confirm that this incredible motorcycle has the performance to match its muscular looks. 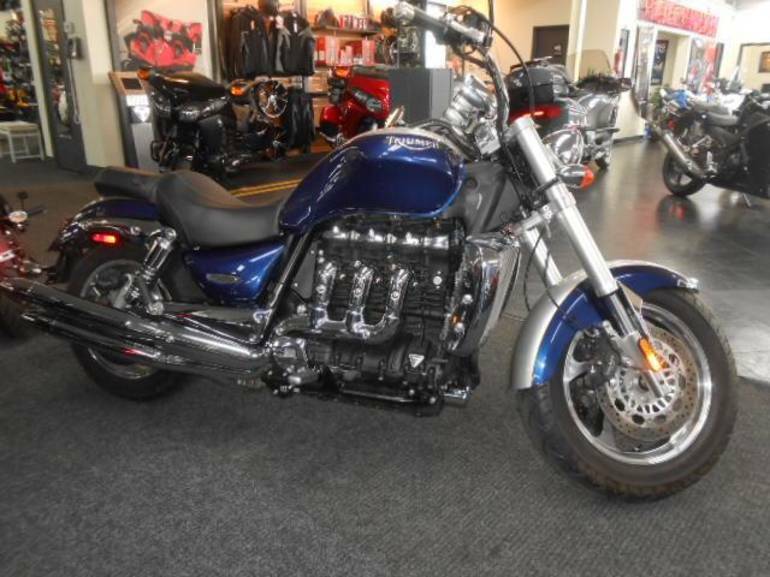 All Triumph pictures are kind of Triumph HD motorcycles picture was taken, including motor fuel gauge, engine, engine mounts, tires, fuel tank, the car handles, lights and so on, 2009 Triumph Rocket III full-screen viewing,2009 Triumph Motorcycles today Price: $9,999 .